Today in History–July 6–the Library of Congress features Althea Gibson, who won the women’s singles title at Wimbledon on this date in 1957. This tennis star fought hard against racism just for the right to compete. In addition to more Wimbledon singles and doubles titles, Gibson won U.S. Nationals titles as well as French and Italian Open titles. 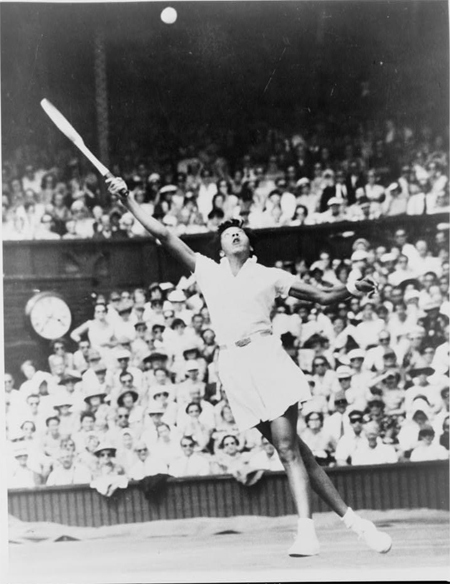 Find out more about this fantastic athlete in the Today in History section, then click the links below to access portraits of Althea Gibson and primary sources related to the sport of tennis.